The Breach Notification Rule of HIPAA places a requirement on covered entities and their Business Associates via their covered entity, to notify the Office for Civil Rights of the Department of Health and Human Services of data breaches affecting more than 500 individuals. The time limit for doing so is 60 days from discovery of the breach. The total number of breach victims fell for the second month running, although major breaches were reported at the Methodist Dallas Medical Center (TX) where 44,000 patient records were potentially viewed or accessed as a result of the data being transmitted or stored on an insecure Internet-based email service. The L.A. Gay & Lesbian Center (CA) issued a notice to patients advising them that 59,000 had potentially been compromised in a hacking incident that potentially exposed credit card numbers, Social Security numbers and personal identifiers. The loss of paper files at Walgreen Co. (IL) exposed 17,350 records; a lost device exposed 9,642 records at Island Peer Review Organization (NY), while a Health Plan from the Wyoming Department of Health (WY) had 11,935 records compromised in a network server incident, which potentially exposed patient data. The theft of a laptop from New Mexico Oncology Hematology Consultants, LTD (NM) exposed 12,354 records. 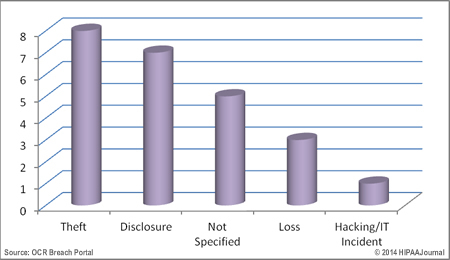 In December, 2013, a total of 201,293 individuals were affected in 24 data/HIPAA/HIPAA data breaches that were reported to the OCR through its breach report portal. 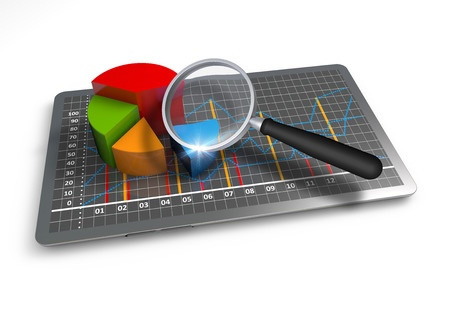 The total number of records exposed in Q4, 2013 was 1,893,329. 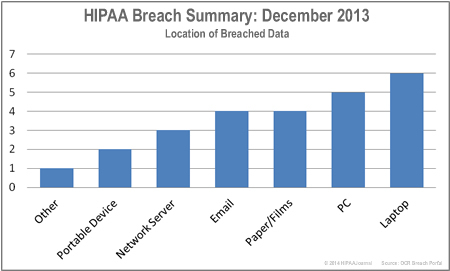 Unauthorized accessing of medical records – and the unauthorized disclosure of that information together with the loss of unencrypted laptops were the main causes of HIPAA breaches in December. There was one hacking incident which exposed 59,000 records. Healthcare providers registered 16 data breaches in September, including the largest data breach of the month, while healthcare clearinghouses recorded no security incidents. 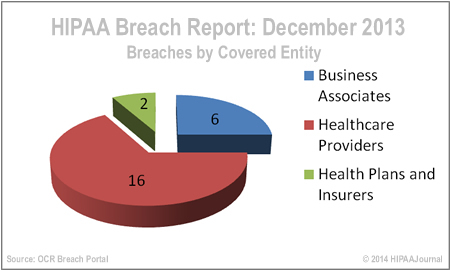 Business Associates breaches are up this month, while two health plans were affected. *Data does not include HIPAA breaches reported to the OCR after the 60-day reporting deadline, as demanded by the Breach Notification Rule. Any errors made by CEs during the submission of HIPAA breach reports via the online portal will be reflected in this breach summary. Figures are deemed to be correct at the time of publishing, although covered entities are permitted to update breach reports after the 60 day deadline as further information becomes available.